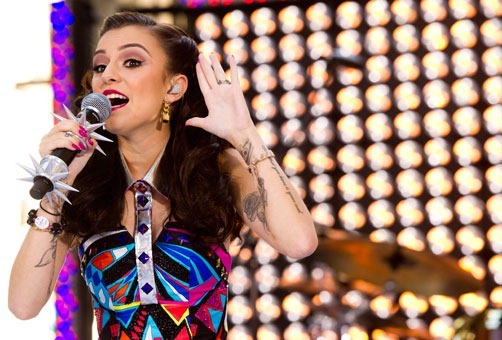 Many of you may only know her as Cher Lloyd, the girl with the catchy song ‘Want U Back’. However, Cher has actually done quite a lot of work prior to having a successful single in America. She first started off as a contestant on the X Factor UK, where she auditioned with Keri Hilson’s ‘Turn My Swag On’ which received a major buzz in Britain. Soon after, she got through boot camp and came fourth in the live shows. But her fellow competitive contestants weren’t too happy with Cher, who’d use foul mouthed language behind stage, become verbally aggressive and act like a diva – thinking that she was better than everyone else. Note, she was in the same season with One Direction. Lloyd has admitted to her wrong doing and admits being very stubborn during the live shows, but continued that it wasn’t the person she was. She became cocky after seeing the millions of hits her audition had gotten – which still to this date is one of the most-watched auditions on YouTube. She goes on to describe the struggle to make it in America: “I went across the whole of America on a bus, doing five or six radio stations a day. It was tough, but to go over to a massive country like the US, that knows nothing about you, and to be successful, it makes me think, ‘You’re all right, don’t beat yourself up, you’re doing okay’. Her next single to hit the States has been confirmed to be ‘With Ur Love’ ft. Mike Posner.